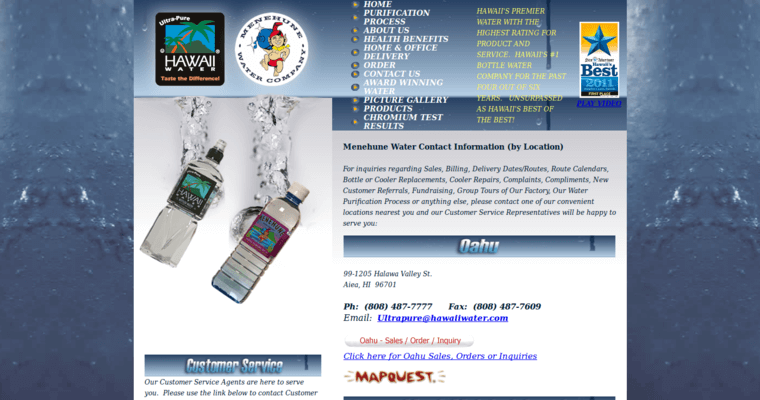 Hawaii Water is an artesian water brand that is based out of the Hawaiian Islands. 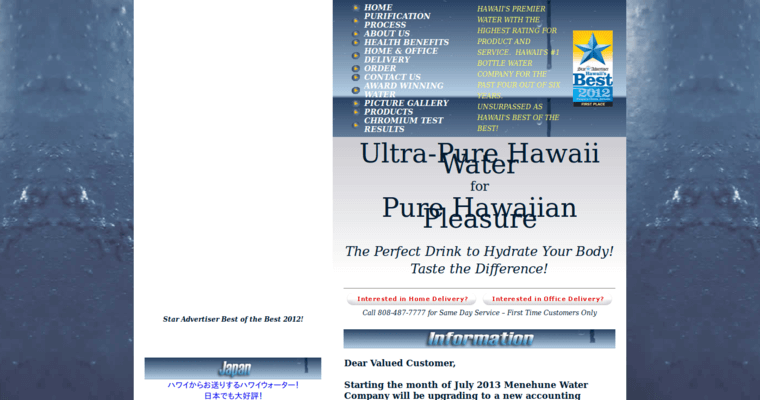 Hawaii Water, also referred to as "Menehune Water," gets its name from the tropical Hawaiian Islands where it is named and bottled at. The water starts off as rainfall that falls to the ground in the environmentally pure and pristine tropical rain forests on the islands. Once the water hits the ground, the pristine nature lets it naturally filter through the ground and go through thousands of feet of lava rock, taking a total of 25 years to do so in the process. The water eventually settles into an underground aquifer, protected from outside elements and purified of foreign substances. 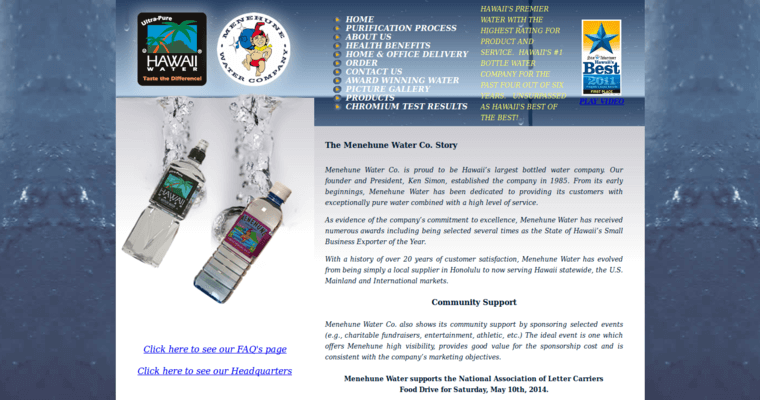 The water is then extracted at the source and later bottled up for future consumption. The purification process involves removing all the solid particles that may have been present and killing off bacteria or viruses.